If ever a car was a slightly difficult one to justify, it’s the Hyundai Genesis. It’s a name and model new to Europe (though not to the USA and Australia), in a market segment we’re not used to seeing a Hyundai in. And a price bracket. Because this is a Hyundai that costs the thick end of fifty grand. What exactly is the Hyundai Genesis? A near five metre-long four-door, five-seat luxury saloon. It’s a well-established model in the United States – this new car is actually the second-generation version. This time it’s been adapted for limited sales in Europe, including this right-hand drive UK-spec model. Being a car developed with the US in mind, there’s no diesel option, which rather hobbles the car’s sales potential from the outset on these shores. Instead there’s one 3.8-litre petrol V6 engine, and one specification level packed with plenty of bells and whistles. Is it suitably luxurious inside, then? Yes and no. There’s perforated leather aplenty, wood veneer on the dash and aluminium on the centre console, and soft-touch plastics everywhere else. It’s all put together nicely too, with top-notch fit, finish and overall quality (apart from a passenger seat backrest that got a bit wobbly on bumpier sections of road). Main problem is the switchgear and controls, the majority of which are lifted straight from various, more humble Hyundai and Kia products. There’s nothing wrong with the way they work or feel, they just look a bit low-rent. Same deal with the central multimedia screen, recognisable from the likes of the Kia Soul. And in a market that’s all about snobbery, that simply won’t do. That screen can be operated remotely from the rear seats if you fold down the hidden console in the centre of the seat backs. Rear passengers also get a bank of controls to recline their heated, ventilated seats and also tilt and slide the front passenger seat out of the way for truly epic legroom. Mind you, a Skoda Superb has that function too. And that doesn’t cost $48k. What’s the Hyundai Genesis like to drive? An authentically wafty luxobarge. The air suspension has two settings – soft and softer – and handling is at the wallowy end of the scale as a result. Which is fine – it’s a car built for comfort, after all, and ride quality is as pillowy as you’d hope. Other large saloons from the likes of Jaguar and the usual premium-brand German suspects manage a better ride/handling trade-off, however. Refinement’s good. There’s very little intrusion from the 3.8-litre V6, even when it’s working reasonably hard. 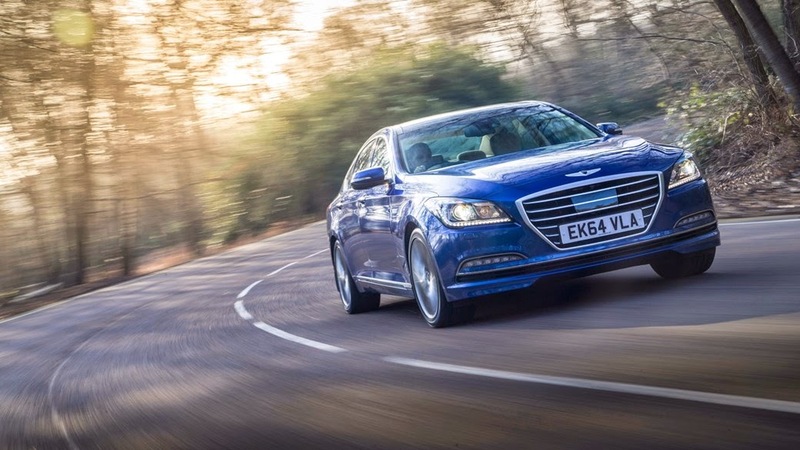 With 311bhp and 293lb ft the Genesis can move quickly when it has to, but with a kerb weight not far off the two-tonne mark it never feels particularly comfortable doing so. The eight-speed automatic transmission is smooth enough, if occasionally dozy on downshifts. What’s the business case behind the Hyundai Genesis? Hyundai UK has an admirably rational attitude towards what, from the outside looking in, can appear a slightly irrational car. In fact, it’s probably better to think of the Genesis less as a car and more as a statement. Hyundai freely, and cheerfully, admits hardly anyone in the UK will buy one, estimating (perhaps optimistically) sales of around 60 cars this year. What it does hope, however, is that the Genesis will broaden people’s conceptions of the kind of cars it makes – another side of the coin from the value-oriented, scrappage scheme-profiting models the brand’s generally associated with. They would have liked to sold the Genesis with a diesel engine in the UK rather than the thirsty, high-CO2 petrol V6 it’s stuck with, but as a car designed and engineered for the USA first and Europe second, it wasn’t possible. It’s being sold in only seven of Hyundai’s 150 or so dealers across the country, too. 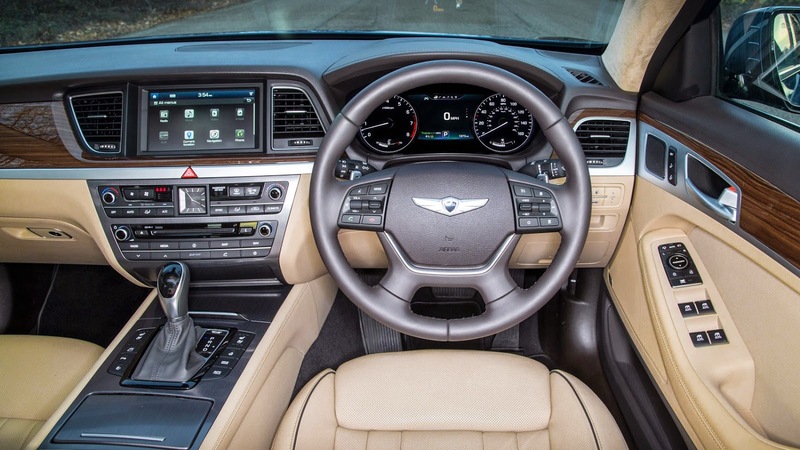 The Genesis is also a starting point for equipment to filter further down the food chain – a head-up display, electrically-cooled seats, all-round camera monitors and the like appear here first, but will migrate to lowlier Hyundais before long. Should you consider buying one? Don’t be silly. Leave that to the few eccentrics who really must have something different. 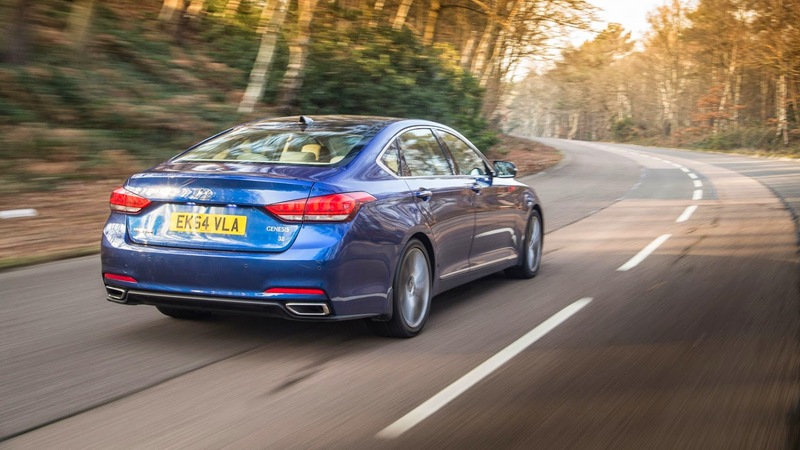 But think of the Genesis as an early step towards a more premium kind of Hyundai. Or, if you’re on the lookout for a particularly brave second-hand buy in a couple of years’ time, you could take advantage of the no-doubt near-vertical depreciation curve. It would be a lot of car for the money. If you can find one. And afford the crushing CO2 tax costs.